The Cosmopolitan Resort is the number one trendy spot all over Vegas. When it was completed in 2011 it took over that title from Planet Hollywood. 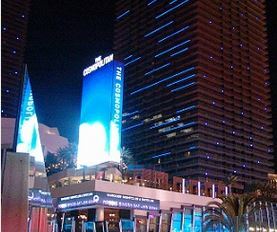 The Cosmopolitan is located on the west side of the Las Vegas strip, south of Bellagio and across the street from its rival, Planet Hollywood. This is a five star Resort, so You will pay a good bit more than You would across the street but if Your budget allows a 5 star Las Vegas Vacation, You will not go wrong with The Cosmopolitan Resort.